At Mac Repair London, we offer affordable and quick turnaround Apple MacBook repair and upgrade services. If you’re having problems with your first generation, second generation (Unibody), third generation (Retina) or fourth generation (Touch Bar) MacBook Pro notebook computer, our experienced Apple Mac repair engineers and technicians are here to help! 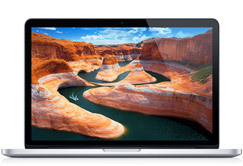 Our knowledgeable and highly experienced London MacBook Pro repair technicians can troubleshoot any notebook problem whether hardware or software and can fix, service or upgrade all 13.3 inch, 15.4 inch and 17 inch MacBook Pro notebook models. We have the knowledge, experience and tools to quickly diagnose and resolve all your MacBook Pro notebook computer problems including MacBook Pro does not turn on, notebook not charging when plugged in, Mac startup problems, distorted or scrambled video, laptop computer restarts unexpectedly, logic board failure, GPU failure, MacBook Pro overheating, damaged or cracked screen, notebook shutting down randomly without warning, issues with slot-loading SuperDrive on your Mac computer and keyboard stopped working. If you have any questions about our London MacBook Pro repair or upgrade services, please feel free to call us at 020 7394 2528 or e-mail at info@mac-repair.london.